Valencia feels like two different cities rolled into one: the historical center, and the sprawling metropolis that has since engulfed it to become Spain's third-largest city. My hostel was located in the old city, a place so full of dead-ends and hidden plazas that you could never get lost the same way twice. Highlights included the beautiful old silk exchange just across the street, the central market with amazingly fresh and cheap goods (like Barcelona's Boqueria Market but less pretentious), the church where the holy grail rests, and a tower where noblemen were once held prisoner and that resembles the fortress where Tyrion Lannister was held captive in Game of Thrones season 1. The so-called new city had other things to offer, most notably the Fundacion Bancaja, where a friend and I caught a Marilyn Monroe exposition, the serene sunken park that rests on the old riverbed of the Turia (fun fact: Valencia was an island back in the day), and the architectural wonder that is the City of Arts and Sciences. 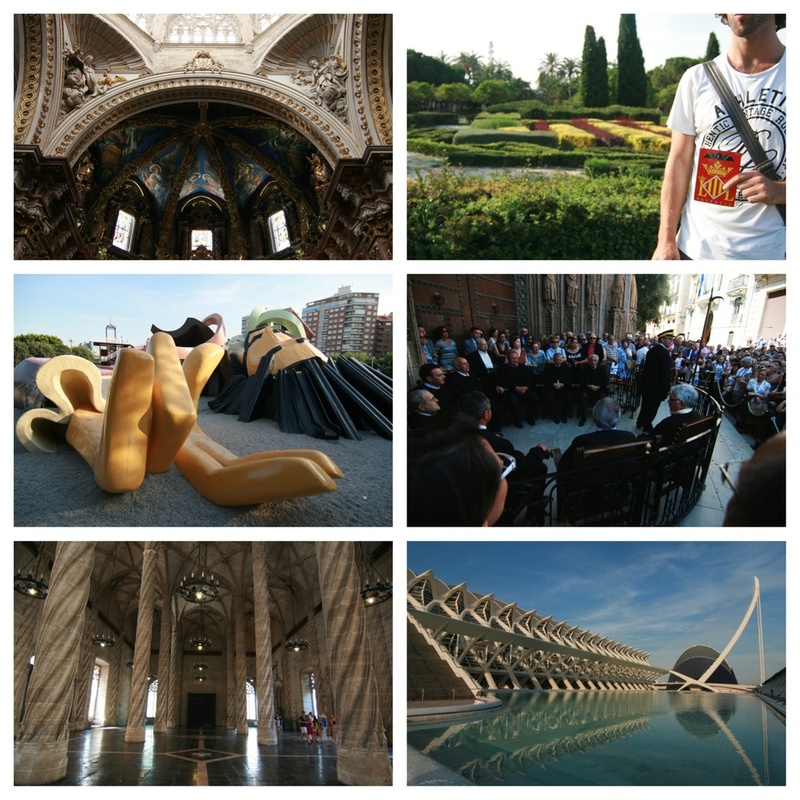 Below, some of my favorites views of Valencia - both old and new. View the rest on Flickr.